I was very pleased to receive this copy of the new Guitar Harmony by Dr. Alan Hirsh. This is book four in the updated method series and is a very welcome addition to classical guitar pedagogy. For years I’ve been using a combination of jazz books and traditional theory books (as well as my own materials) to teach music harmony on the guitar, but now we have a real game changer. The best part about this book is the solid mix of music theory in notation and the chord and interval diagrams which are always going to be a useful tool for students to visualize theory on the guitar. Also, the inclusion of musical examples from historic guitar composers, original etudes, and online content, brings this book to life. Inside: The Shearer Foundation has made the table of contents and first section available to preview online here. The Building Blocks section at the beginning guides students through steps, scales, key signatures and intervals before diving into harmony which takes up the main portion of the book. After looking into harmony we also get a nice non-chord tone and harmonizing melody section as well. All along the way are written and playable exercises to boost students hands-on knowledge and aural skills. I wish there was more in the way of improvisation exercises in the book as I find that an excellent way for students to actually engage with the material. However, any qualified teacher could easily get their students to solo over the the chord progressions in this book. Plus, all the melody writing exercises are exactly the same as improvisation exercises in the end. Everything is there, the key, the progression, tips on melody, all you need to do is get to it. Guitar Harmony by Dr. Alan Hirsh is sure to become a standard method for teaching introductory harmony on the classical guitar. 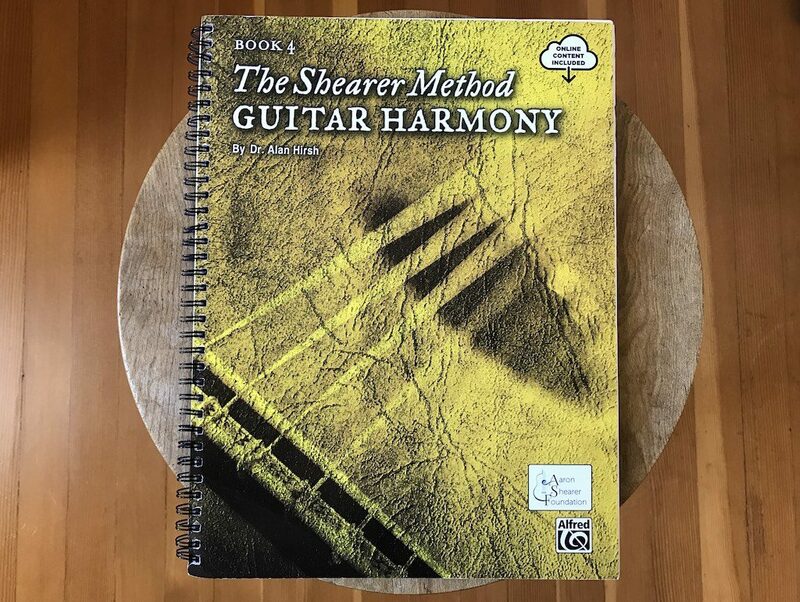 The mix of traditional and modern methods for learning harmony on the guitar come together in this book to create well informed students with both theoretical and hands-on knowledge. 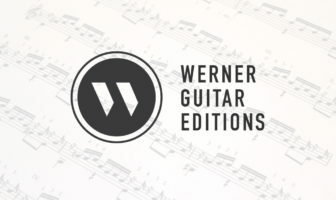 Guitar Harmony, by Alan Hirsh, is a unique guitar-centric approach, perfect for use in private lessons or the classroom. Students can begin any time, but foundations in technique and music reading are recommended. All concepts are applied directly on the guitar with musical examples taken from Sor, Caracssi, Carulli, and others. Progressively organized in 10 units, this easy-to-use method includes Building Blocks, Triads, Minor, Chord Progressions, Chord Voicings, Seventh Chords, Cadence and Phrases, Secondary Chords, Non-Chord Tones, and Harmonizing Melody. The book includes 9 Aural Training Modules as well as fingerboard interval and triad trainers found in the online supplement (password required). A practical approach to supplement any guitar study! Also check out the Shearer Summer Institute from July 29 – August 4, 2019. Join the ASF with artist and teachers Martha Masters, Thomas Kikta, Kami Rowan, and Alan Hirsh in Zion National Park, for the 5th Annual Shearer Summer Institute. This coming summer marks the centennial of both Aaron Shearer and Zion National Park. In celebration, we’ll be holding special events inside the park.